This topic contains 401 replies, has 67 voices, and was last updated by NDG 11 months ago. I think a more organized storm wouldn’t produce the massive amounts of rainfall we’ve been talking about for days now. Sure, you’d have a small area of rainfall totals around 10″ or so but the 20″+ totals we’ve been talking about probably wouldn’t happen unless it stalls out. I’m more concerned now, at this point, about the westward turn happening while it’s still in the gulf. That would likely bring it further west between BR and NOLA. I have lots of trees near my home – I don’t want 70+mph wind gusts for a few hours. Does anyone know if they are scheduled to fly into this system today? Would love to know what they find and if it would help to pinpoint this track. Yes they are flying into the system this afternoon and it will likely find enough data to help with forecasting its track. Looks like Subtropical Storm Alberto has formed now. The National Hurricane Center will initiate advisories with their 11am (Eastern) update. I’m seeing that now too. 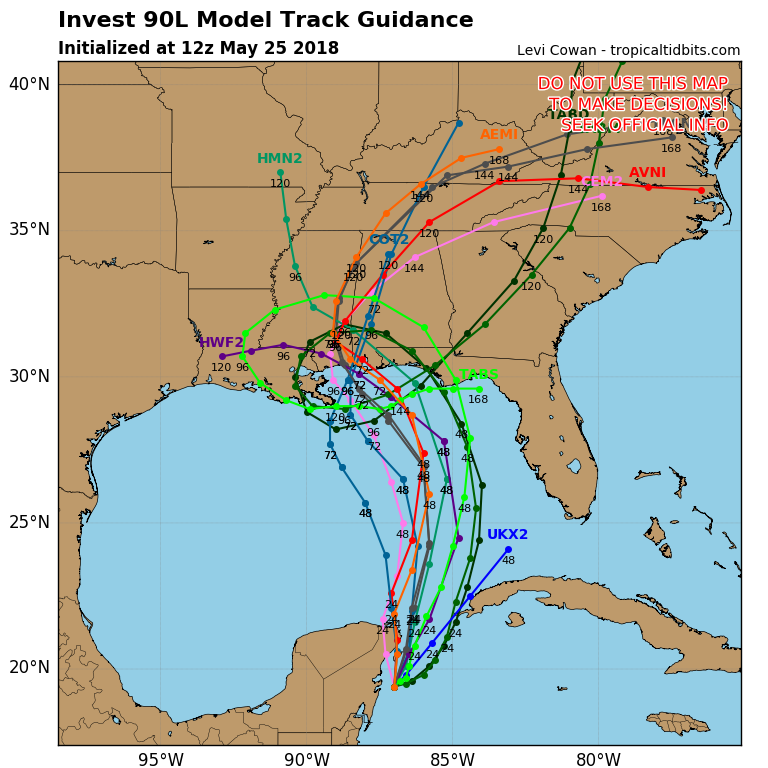 It’ll be interesting to see the forecast track and models now that apparently they have additional data. I'm old enough to remember when no one evacuated for storms EVER....and I'm not even 60! I've been around this forum in one version or another since before Katrina, when Zack & Dylan were posting as weather savvy teens! Can't imagine going through hurricane season without you people, so I donate to keep this forum going! If you're reading this, you should donate, too! Is there a twitter account that can be followed that releases all the models as they come out? I may just have to finally bite the bullet and get on Twitter. Check out that westward bend in the cone. They’re leaving open the possibility for him to creep westward into Louisiana. Plus others I posted yesterday…. 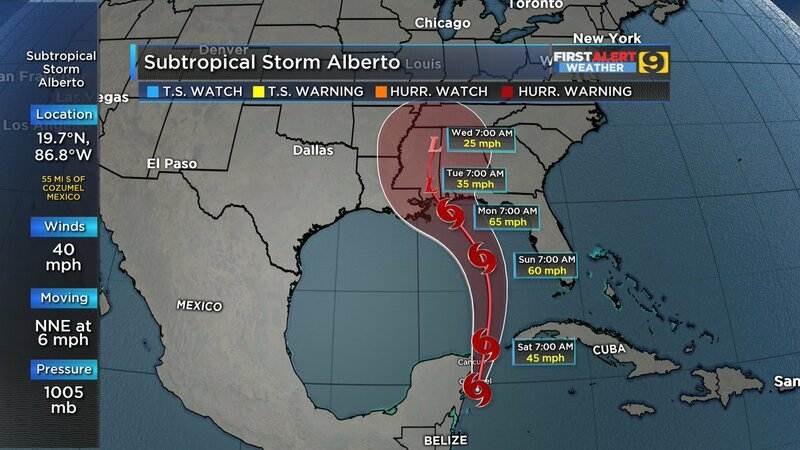 I am somewhat shocked that they are calling it subtropical, to me Alberto is a sheared mostly tropical system. The naked swirl that seemed to be rotating around a larger rotation earlier this morning is appears now to be moving east closer to the MLC to the NE of it, it either will catch up to it or a more defined LLC will form later today.